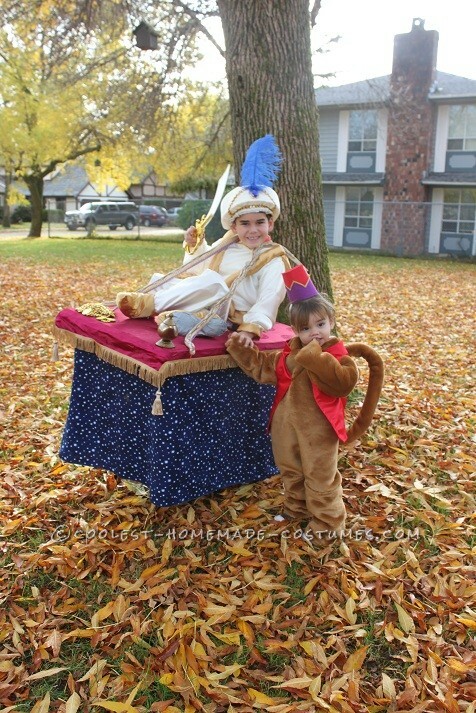 Here are Abu and Aladdin on a Flying Carpet kids Halloween costumes from the Disney movie. 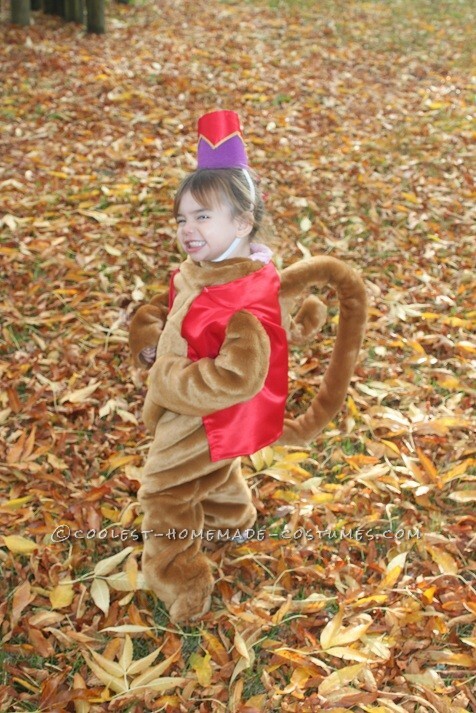 The Abu outfit was made up of faux fur, I used wire in the tail to give it shape. His hat was made up of stiff felt and a glue gun, and a elastic to keep it on her head. 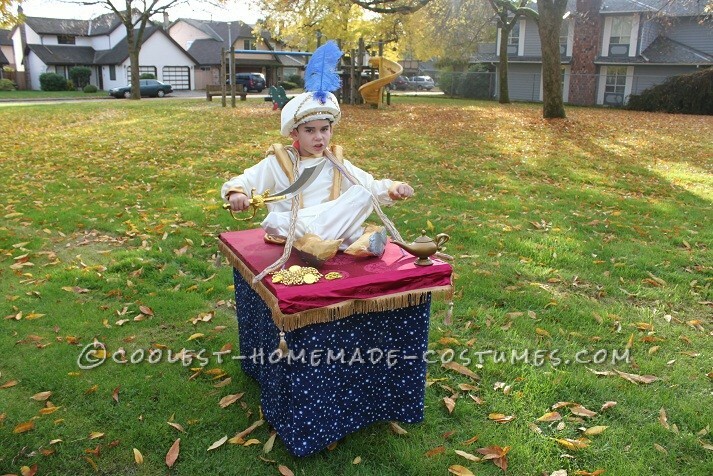 The flying carpet was made from a styrofoam sheet with a hole cut in it for his body. Then I covered it in a material that looked like a rug. I added some doilies and some plastic coins. I had to put a rope from the front to around the back of his neck to keep it up in the air, so I glued a couple of fake snakes to try to hide the line. I used styrofoam as well for the fake legs on top of the carpet, as well to make the pointy shoes. Hope you all get some ideas from this! 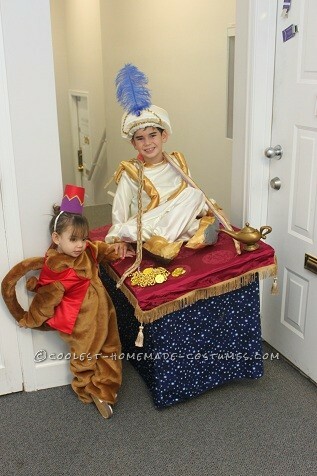 Did you make the Aaladdin costume yourself or did you purchase it from somewhere?